Indium phosphide (InP) is a binary semiconductor used for instance in the fabrication of high-performance devices such as photodetectors and solar cells. In a recent study led by an international research group, scientists from the Institut Supérieur de l’Électronique et du Numérique (ISEN) in Lille, France, investigated a new method for growing PbS nanoplatelets on sulfur-treated InP (001) surfaces. 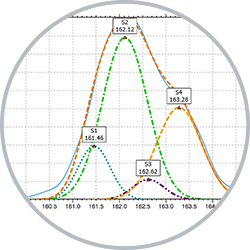 Scanning tunneling spectroscopy (STS), an extension of scanning tunneling microscopy (STM), and photoelectron spectroscopy were used to analyze results. 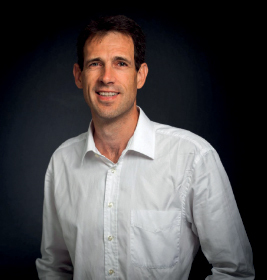 Bruno Grandidier of the ISEN, tells us more. Above. 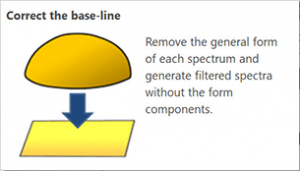 Scanning tunneling spectroscopy demonstrated the difference in chemical composition and structure with and without chemical passivation of the InP surface (AFM image processed with Mountains® software). Above. 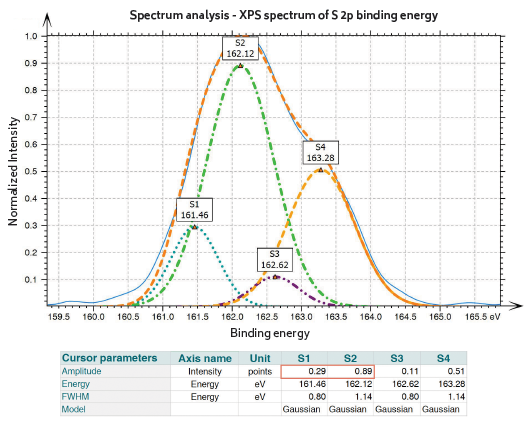 XPS spectrum measured on PbS nanoplatelets grown on passivated InP substrates. The surface passivation is supported by the existence of two components in the S 2p core level, where the strongest component (S2) is caused by the In−S bonds and the smallest one (S1) being related to the Pb−S bonds in the nanoplatelets.